These 5 home appraisal tips may help in getting the number right. Appraisers are independent, but setting the stage for the appraisal can’t hurt. 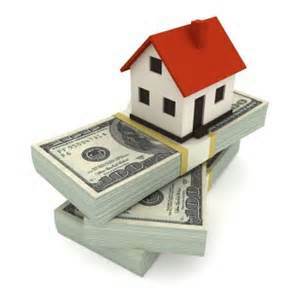 The home appraisal is one of the last pieces in obtaining a home mortgage, but a big one! The appraisal establishes the “value” of the home being purchased compared to the purchase price and the amount of the mortgage. As part of the mortgage loan process, lenders need to know that the “value of a home” being purchased compares to the purchase price. A home appraiser is the person that does the appraisal. An appraisal establishes a homes value for the lender. To ensure the credibility for lenders, appraisals are done by a state licensed appraisers. Appraisers will review the home against “comparable” homes sold in the local area or neighborhood and give their opinion of its value. Their opinion is documented in a written report when their work is completed. A home appraiser is an independent party. Their work is done without influence from any parties to the transaction. Buyer, Seller, lender or Realtors. However, these 5 home appraisal tips will prepare you for the home appraisal and maybe help get a better value. 1. Have a list of any repairs, upgrades or renovations available for the appraiser. Identify each item, the date completed and how much it cost. For items completed in the past 5 years, it’s a good idea to have a detailed description of what was done. If a licensed contractor did the work, identify the company that did the work. 2. Give the appraiser access to all areas of the house. Remove anything that would prevent the appraiser from opening a door or entering a room. 3. A copy of a lot survey, while not necessary, can be helpful if your lot is irregular shaped or is larger than typical. Your realtor can provide this type of information. If you don’t have a realtor, there are online sources that are available. 4. Get ahead of the curve. Repair leaky faucets, missing electrical cover plates, missing light fixtures and burned out bulbs. These items will likely appear on the home inspection report anyway. If the appraisal is for an FHA loan some of these repairs may be necessary before the loan closes. 5. List any recent sales in your neighborhood. Particularly for homes similar to yours. Appraisers have access to most sales information, but private sales do occur and not shown in the local MLS systems. Where do you find the data? Don’t depend on Zillow. In most cases, Zillow’s data isn’t accurate or timely. Ask your realtor to do a market analysis for your neighborhood. The data will be current and accurate. If you are planning to sell your home, use a realtor familiar with your local community. During the process of listing your home for sale, your realtor should help you understand the real estate market and help set the listing price of your home. If you are selling a home in Tucson or one of its surrounding communities, we – Ben & Kim Boldt – should be on your agent list. We are experts in the Tucson real estate market. Our clients describe us as professional, honest, trust worth and understanding.